The Kiddie Company is a company that specialises in motherhood, and how to make life easier for the mother! You can find many great baby products, and health and safety tips. It is a great fit that Baltic Amber for Africa is now selling our baby and kid products in their retail space. 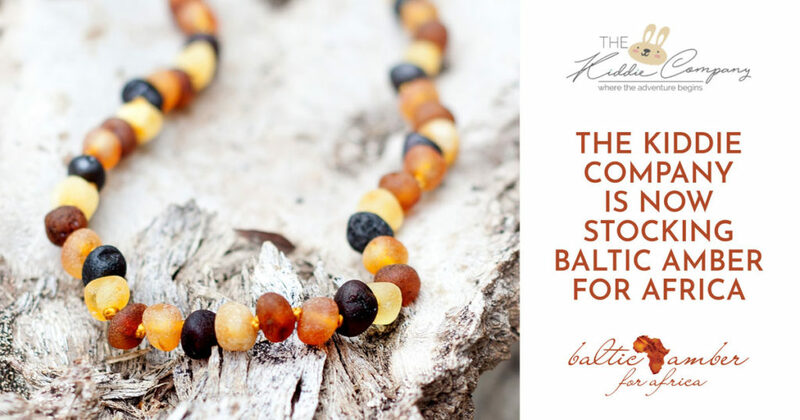 One of the top sellers at Baltic Amber for Africa is the teething necklace and bracelet for babies and kids. The teething necklace and bracelet specially helps with the teething pain of a young child. The necklace itself has all the great properties of other Baltic Amber products, and is safe to use for babies and small children. This entry was posted in spotlight and tagged baby, baby boy, baby girl, Baltic Amber for Africa The Kiddie Company, Natural remedies, Relieving Teething Pain, teething bracelet, teething necklace.